MSI Gaming Night 2017 | Computex Parties - The first directory to find all parties held during Taipei Computex show! 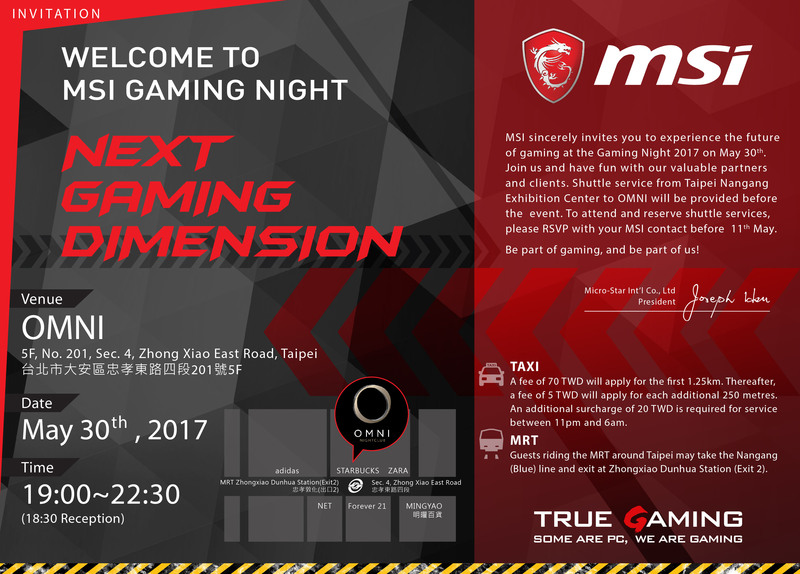 MSI Sincerely invites you to experience the future of gaming at the Gaming Night 2017 on May 30th. Join us and have fun with our valuable partners and clients. Shuttle service from Taipei Nangang Exhibition Center to Omni will be provided before the event. To attend and reserve shuttle services, please RSVP with your MSI contact before 11th May.